In the hallowed halls of academia, competing theories often exist, each with their own supporters. A theory paradigm may reign for many years before a paradigm shift may occur, where one theory overtakes another as the most acceptable concept. The theory that has encompassed contemporary thought is that events in the cosmic scheme of things have occurred through Randomness. Everything that has occurred to create the amazing complex concept of life from the Big Bang to evolution was only because of a random chance according to the theory of Randomness. One theory that had attempted to challenge the Randomness theory paradigm was “intelligent design” whereby an intelligent source created the universe and the life it contains with a particular purpose. Those that believe in “intelligent design” have not been successful in overturning the reigning Randomness paradigm, and have been ridiculed by many of the atheist academics that support the theory of Randomness. There is another challenger , however, which has formidable possibility to effect a global paradigm change: The Theory of Potential. The Theory of Potential was devised by David Birnbaum, a yeshiva-educated and Harvard-educated Manhattan native who is a scholar and philosophical writer. His philosophical treatise, Summa Metaphysica (Volume I 1998; Volume II 2005) outlines this theory explaining its theme as the “Quest for Potential”. Potential is something that can be used to explain the cosmic history of the universe. Potential or the possibility of something is a force that is eternal. According to Birnbaum, potential is what created the universe, and was the key impetus for life itself existing in the world. Birnbaum’s theory is that the “Quest for Potential” is what has motivated the dynamics of evolution, human thought and everything that brings life to its fullest inherent qualities. This “Quest for Potential” is something that can be seen as eternal as it is something that never ends. There is always something within the realm of possibility for growth and positive change. Summa Metaphysica is a two-volume set that explains Birnbaum’s Theory of Potential in full detail. The first volume is Summa I: God and Evil (1988 KTAV Publishing), and the second volume is Summa II: God and Good (2005 New Paradigm Matrix). These volumes explain how Birnbaum believes that there is “infinite divine potential” in the universe and that this divine potential created our past and will pave the future (see www.philosophy1000.com). Birnbaum covers a variety of questions that mankind has philosophically asked itself for time immemorial. Thought provoking questions can be answered by his theory like how the universe is so “finely tuned”, the evolution to concepts such as love, consciousness, and the realization of potential along with what it the ultimate goal of the universe. Although Birnbaum is a universalist, and is not theistic, his use of ‘infinite divine potential’ divine has put him, and his theories into the same crosshairs of those same zealot academics who undermined the “intelligent design” theory. Both ‘intelligent design’ and Birnbaum’s Theory of Potential seek to answer the cosmic questions of the universe, such as how something as amazing as life came to exist. To many of the atheist academics any theory that brings in a divine force is taboo. However, despite the aggressive gambits of those academics who support the theory of Randomness, there is growing global support for Birnbaum’s Theory of Potential. Birnbaum is well-known as a pinnacle rare gem dealer, but has kept a fot in academe since gradution fro Harvard in 1974. He has been expanding further into academic realm over the past two decades. 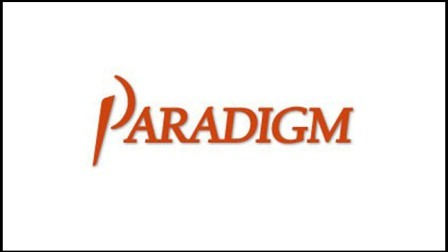 His multi-media publishing platform is www.newparadigmmatrix.com. Birnbaum is the author of the 7-volume historical timeline chronicle Jews, Church & Civilization. As well he is the editor-in-chief of the anticipated 10-volume, 150 essay Mesorah Matrix series on spirituality. David Birnbaum’s philosophy works are used by many reputable colleges and universities as course texts, which include Christian institutions, as well as world-renowned secular institutions like UCLA, Brandeis and Hebrew University (Jerusalem). In April of 2012, Bard College in Upstate, New York hosted a 4-day academic conference that focused upon Birnbaum’s Theory of Potential and his Summa Metaphysica. Academics from around the world were invited to attend as panelists and presenters. This conference was a chance for Birnbaum to throw down the gauntlet to challenge the Theory of Randomness and those academics that support it. One academic who highly engaged with Birnbaum during the conference was Peter Atkins. Atkins is a famous chemist, who is also a noted atheist, stuck with his theory of Decay as answering the big questions while Birnbaum focused on his “Quest for Potential” as the answer. It appears that they each did not really connect with each other on the topic. It was as if they were communicating using a different language on different frequencies. This gauntlet which Birnbaum has thrown down has not been taken lightly by the academic community in that there seems to be a mysterious movement trying to discredit the conference, defame Birnbaum’s theory, and misreport all that occurred there. The key group that seems to be most interested in turning Birnbaum’s Theory of Potential into the next theory of “intelligent design” are academics who are British, atheist, reductionist and materialist. To combat this shadowy war on his theory, Birnbaum has posted all conference materials and videos through his publishing house, New Paradigm Matrix for the world to see what actually occurred at Bard College (see bard.summametaphysica.com). Over the past summer a team of 40 temps compiled an email list of a million+ academics at the world’s top 6,000 colleges and 1000 top institutes. So far one direct ‘mailing’ has gone out. The plan is apparently to periodically communicate ‘directly’ with academics globally by leapfrogging over the establishment-controlled journals. to expose what they view as the ‘Emperor’s Clothes’ nature of the Theory of Randomness, as well as the rogue gambits and ‘excesses’ of some of its supporters. Birnbaum supporters are dubious that the Theory of Randomness can withstand truly open debate and scrutiny. It is widely presumed that the de-legitimization gambits are orchestrated by ‘pinnacle players’ from the entrenched establishment hierarchy in England – and from the hierarchy of related societies. Birnbaum supporters remind academia that the defamation gambits deployed against the ‘intelligent design’ protagonists bordered on criminal behavior, even setting-aside the libel dimension, and setting-aside generally accepted societal norms. They remind academia that the de-legitimization gambits by components of the establishment harken back to the Roman Inquisition of 1615, which found Galileo guilty of ‘vehemently suspect of heresy’ whereby Pope Urban III put Galileo under house arrest – at the behest of establishment astronomers – for propounding heliocentrism. Although a private scholar and not backed by a university, Birnbaum has garnered forthright support from the academic community. One academic supporter on the side of Birnbaum is Andrei Alyokhin stating “…it is reasonable to propose Quest for Potential as a working hypothesis for explaining the impetus behind the cosmic dynamic”. Alyokhin is an Associate Professor of Ecology at the University of Maine. Pivotal buttress for Summa Theory comes from the works of MIT’s Seth Lloyd. His 2006 book Programming the Universe seemingly displays a 1:1 correspondence with Birnbaum’s1988 and 2005 Summa works. Although some academics are affronted – and even outraged – by what they see as an outsider philosopher treading on their’ turf’, increasingly more academics are supporting Birnbaum’s theory and his treatise, Summa Metaphysica. Over the years many have come forward to offer a written testimonial to show that support. Of course many academics have already assigned Birnbaum’s Summa Metaphysica in their respective courses over the past twenty-five years. Birnbaum is the author of the 7-volume historical timeline chronicle Jews, Church & Civilization. As well, he is the editor-in-chief of the in-the-works 10-volume Mesorah Matrix series on spirituality, which has under its umbrella as essayists 150 leading Jewish thought leaders from around the world.